Work is underway to make sure that the parking capacity on the airport’s apron can accommodate 13 aircraft as compared to the present eight aircraft. Amritsar: Five flights were delayed on Sunday from Chandigarh International Airport in Amritsar due to visibility issue created by fog. The flight operations would resume at 1 PM, stated news agency ANI. It has also been reported that flights will not operate out of the Chandigarh International Airport for two weeks from February 12 to February 26. “The decision was made nearly two months in advance so air travellers can change their plans accordingly,” a leading portal quoted Sunil Dutt, Chandigarh Airport Chief Executive Officer as saying. Chairman of Airports Authority of India (AAI) Guruprasad Mohapatra stated that the international flight operations would return to normalcy from March 31, 2019, onward. Meanwhile, efforts are underway to ensure that more flights are introduced by the flight operators to connect Chandigarh with various international sectors. He blamed the non-viability factor to be the main reason for flight operators withdrawing from the international sector of Chandigarh airport. Work is underway to make sure that the parking capacity on the airport’s apron can accommodate 13 aircraft as compared to the present eight aircraft. 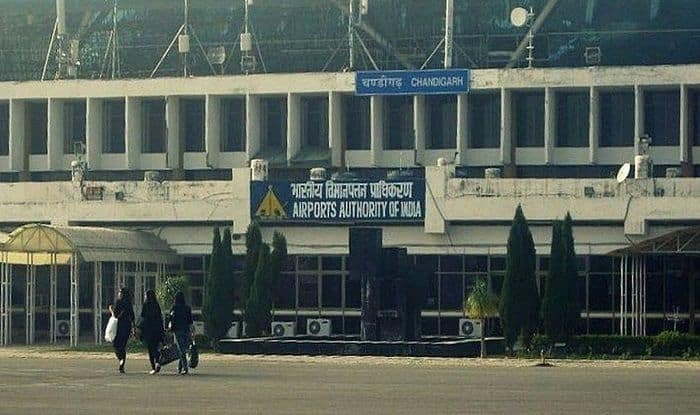 AAI is already installing a Category-III Instrument Landing System to help improve the visibility in bad weather from the existing 1,200 metre to 500 metre, said Chandigarh Airport Chief Executive Officer Sunil Dutt. A conveyor belt is also being installed to handle passengers’ luggage. The runway is expected to be lengthened from 9,000 feet to 10,200 feet to introduce wide-bodied aircraft that cover long distances from the Chandigarh airport to Europe, Australia and the United States.